I enjoyed your review of Adam's Album. How ironic that I felt the same way about the song For Your Entertainment. Didn't care for it much, but the AMA performance and video changed things for me. I really think Adam is one of those artists that must to be seen to be totally and completely appreciated. I skipped over Pick U Up for a while, now it is one of my favorites. Listen to it a few times, and you may find yourself waiting for the bridge, imaginary mic in hand, and then mouthing the words “Where are you, I need some one to be my loverrrrrrrrrrrrrrrrrrrrrrrr”.. haha, I love listening to this song on my way to work in the mornings. 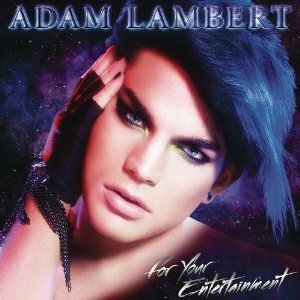 I’m hoping for a second album that is less produced where Adam can really let his vocal prowess wail… I enjoy the album and would also recommend, but I know there is more and I want to hear it.